The MOEN (Meridional Overturning Exchange with the Nordic Seas) station uses the Faroes branch of the CANTAT-3 cable for measuring water column induced voltage. The recorded voltage is strongly influenced by the inflow of the North Atlantic Current. Long-term monitoring of this current is of paramount importance in the understanding of oceanic fluxes of heat, salt and fresh water at high northern latitudes and their effect on global ocean circulation and climate change in the Arctic region. Proposed network location for Nordic site. Putative subsea cables are indicated in pink color. 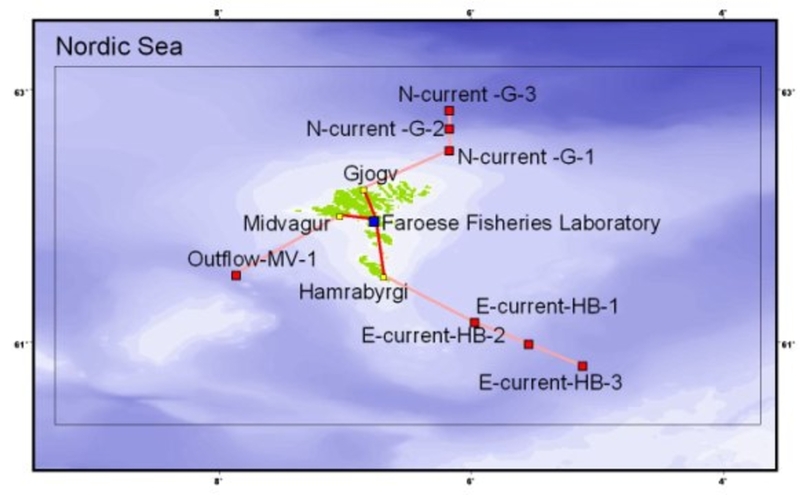 First-hand objective is to establish a continuous monitoring of the inflow of the Faroe Branch (north of the Faroese) and the Shetland branch (southeast of the Faroese) and the overflow of dense water (south of the Faroese). The ultimate goal is to use the Nordic Node for now-casting and fore-casting of the thermohaline circulation, hereby making it the “warning bell” of a changing climate. 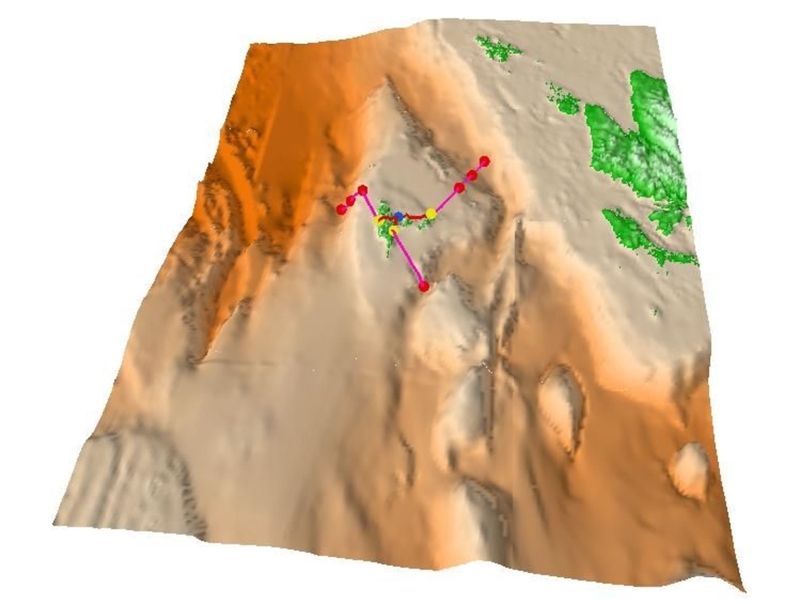 From a global point of view, scientific objectives are to continuously observe the flows in and out of the Nordic Seas at the Faroese region and to relate these to the dynamics of the North Atlantic and the Nordic Seas.